The holidays are known for being the most wonderful time of the year. From the cheerful atmosphere to the crisp winter air, it’s truly a nostalgic period. 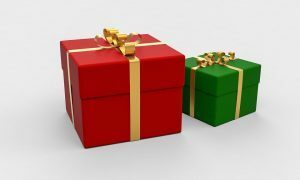 What can accompany this cheerful holiday season, however, is a lot of stress surrounding buying gifts for everyone on your list. Particularly if you are a parent. Sometimes the stress of shopping, going out and battling the crowds, and frequently stressing about the cost of it all is enough to overshadow the joyousness of the season. This doesn’t have to happen to you, however. There are plenty of ways to overcome the stress of the holidays with a few hacks to eliminate the hustle and bustle. Here are some of the best tips for making sure that you simplify your shopping and avoid all that stress. Doing your shopping online eliminates the added stress of having to get into your car and drive into crowded shopping malls or find parking downtown. You no longer have to drive to multiple stores trying to find the perfect item for your kids. Buying online makes it easy with the few clicks of a mouse to purchase and have it delivered directly to you with no hassle. You can even opt for gift wrapping in many cases which makes it even easier! Make sure to always read the reviews on the product seller so that you can ensure that you are making the best possible selection. Sometimes online consumers make the mistake of purchasing from a seller with a bad reputation and regret not having read the reviews earlier. The prices are hiked at their maximum value during the holiday season because of the demand for products. This is because store owners know that this is the peak season to maximize their profits so they take full advantage of their full stores. However, some of the best deals can be found just after the holidays when everyone has finished their shopping. Store owners are eager to get the remaining products off of the shelves so they often mark their prices considerably lower. Another great time is during Summer when people aren’t even thinking about their Christmas shopping and all sorts of deals can be found. If you manage to get all of your shopping done months ahead of the holiday season just imagine how much more you’ll be able to enjoy the holidays rather than stress! Secret Santa exchanges are ideal for large families. The idea is that rather than having to buy for everyone in your family, you just buy for one person. This not only is a money saver but it relieves a lot of pressure.